A growing presence in the slums of Mumbai has helped the Mumbai Smiles preschools to reach out to more people and make a timely difference. 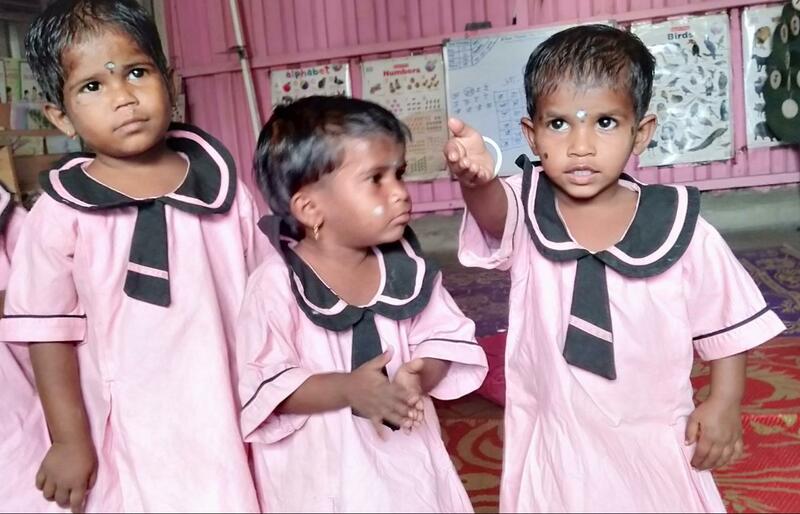 An example of this is the case of the three Pawar sisters—Dipali (4), Anjali (3) and Meenakshi (2)—who were found wandering around our Govandi preschool. The three are daughters of Ramesh and Jyoti Pawar, who work as daily wage construction labourers. They also have an older brother, Adesh (7). The family is struggling to make ends meet; with both parents busy at work, the children did not receive adequate care and attention during the day. When we found them they were not only underweight, but also dressed in unclean clothes. When the Mumbai Smiles representatives first went to the girls’ home to meet their parents, they found that no one was at home since the parents were away at work. On their second visit, the field coordinators were able to meet the girls’ mother. Apart from helping her understand the nutritional needs of the children, the coordinators also convinced her to send the girls to the preschool where they would get an education as well as nourishing food regularly. Initially the girls came to preschool in untidy clothes, but now they wear their uniform with pride every day. They are growing well with the love and care that they receive. Their example shows that we need to be present in these communities and grow our preschools to reach many more like them. We can also become a support system to hardworking parents like Ramesh and Jyoti who have to go to work every day and cannot afford daycare. The difference that Mumbai Smiles can make in such a scenario is vital indeed.